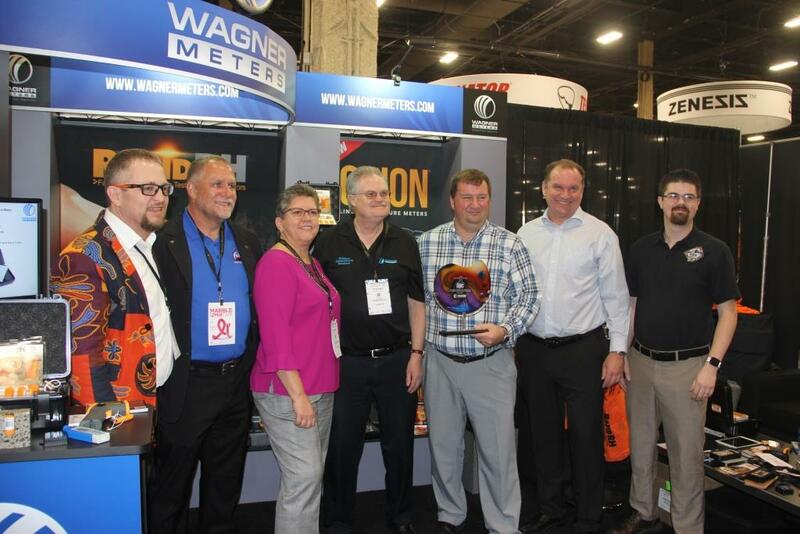 During the recently held The International Surfaces Event, Wagner Meters presented its Distributor of the Year award to Fishman Flooring Solutions. Congratulations from all of us at ProInstaller Magazine! Pictured (from left) are: Jason Spangler (Wagner Meters), D Clark (Fishman Flooring Solutions), Mary Henritz (Fishman Flooring Solutions), Ed Wagner (Wagner Meters), Shane Richmond (Fishman Flooring Solutions), Greg Vale (Fishman Flooring Solutions), and Eric Wagner (Wagner Meters).